Please note that we are not tied to or affiliated to BT, Sky, TalkTalk or Virgin Media. This means that (as always) we can be completely open and honest. 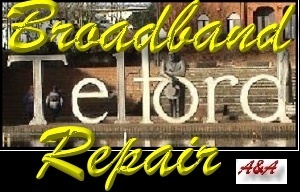 We live in Telford and have used all of the "big 4" Telford Broadband suppliers. 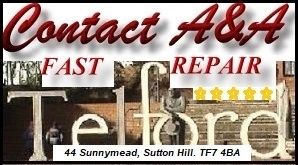 When living in Stirchley Telford (before moving to Wellington Telford), we had been with Virgin Media for many years. Our experience of Virgin Media Telford was that their system was very good, but their quality of customer service was awful. Eg; before moving to Wellington, we notified Virgin Media 6 weeks prior to the move. Virgin Media promised that the TV, phone and Broadband services would be live on the day that we moved in. They were not. Virgin Media apologised and promised that the services would be live within 6 weeks. They did not (yes; we waited 6 weeks for a service which was never connected). When we complained, Virgin Media claimed that an engineer had inspected the connections (outside our property) and found that there was no cabling. Being technically aware, I decided to investigate their claims and found that the cabling housing had been partially covered with tarmac some years earlier and I found that our next door neighbour had a working Virgin Media account and connection. Therefore; Virgin Media were lying. Given the above, we decided to cancel our Virgin subscription and "move" our TV, Phone and Broadband to SKY. We remained with Sky for a few years and were impressed with their system and services. However we cancelled our subscription etc because they seemed to be continuously raising their prices while we simply did not watch many of the stations which we were paying for (particularly the SKY Movie channels). Additionally, many people now use Kodi and other services to access SKY TV without paying a SKY subscription. Through their inaction and incompetence, SKY have allowed this practice to flourish and It seemed to us that we were subsidising criminal activity - SKY continue to raise prices to offset revenue lost because people are moving to illegal "SKY boxes". We then moved to BT TV, BT Telephone and BT Broadband. Again we were fairly impressed but we found that (like SKY), they also seemed to continuously raise prices. We now subscribe to TalkTalk TV, Phone and Broadband with SKY Sports Premier League. Overall we find that the service is as good or better than SKY, BT or Virgin Media and at a fraction of the cost (but TalkTalk do not offer HD Premium Channels and the TalkTalk TV Box does not come with a recording facility). However we have supplemented our TV with a Now TV box which allows us to watch Game of Thrones, Walking Dead (my wife is "addicted"), SKY Sports News and many top box sets. We also subscribe to Netflix (highly recommended). However, we found that although we had the fastest (non fibre) TalkTalk Telford Broadband service available, it was simply too slow (averaging 32mps) for my needs as a computer engineer (we regularly need to perform customers Windows installations, Computer updates etc). For this reason, we upgraded to the fastest available fibre option. We were seriously disappointed. We found that our average speed with TalkTalk fibre was only 38mbs (the speed is advertised as being up to 76mbs). When we contacted TalkTalk about this, we were told that the speed was acceptable - this is clearly nonsense and we are obviously qualified to successfully "argue the case". However, most people simply would not know that there was an issue. We insisted that they replace the router (which proved to be faulty) and to send a BT Openreach engineer. The engineer discovered and resolved a fault on the connection between the property and the exchange. Please note that Telford BT Broadband, Telford SKY Broadband and Telford TalkTalk Broadband all use the Telford BT Openreach network. The Telford Broadband and Telford Fibre systems are delivered via phone lines which use the Telford Openreach system via copper cabling to homes and fibre optical cabling from the telephone exchange. Therefore; internet access is delivered with virtually no resistance to the exchange (via fibre optics) and it is then restricted by the cabling from the exchange. For this reason (generally speaking) the further you are from an exchange, the slower your internet will be. Virgin Media use their own fibre network. 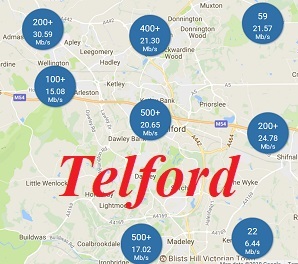 Because they use fibre optics from the home onward, the signal is not restricted (slowed down) and Virgin Broadband is therefore the fastest broadband available in Telford. SKY Broadband. 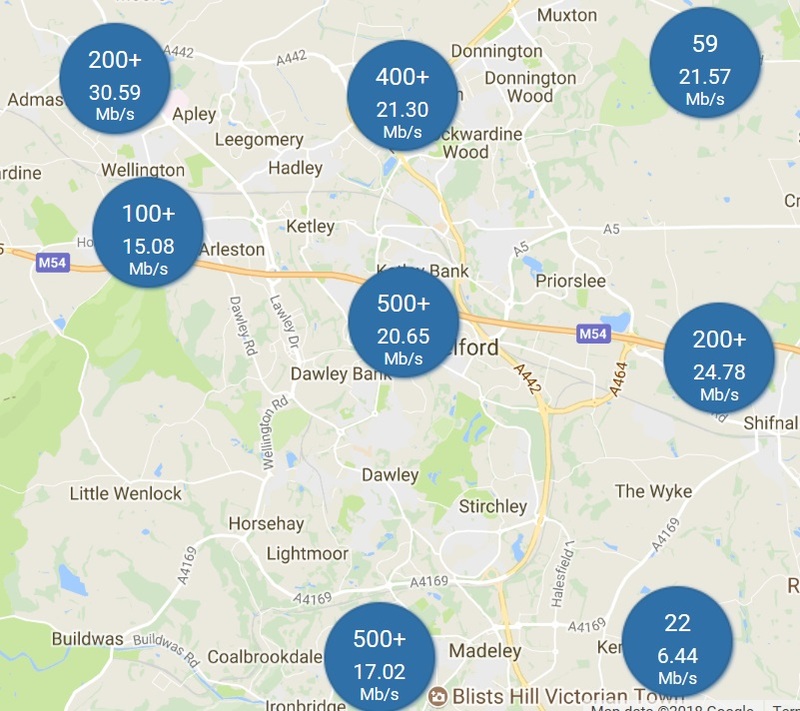 We dealt with an issue on Sutton Hill Telford where the "internet was very slow" and when the customer downloaded a TV show or Movie from SKY or BBC iPlayer, it often would not be available to watch until the next day. 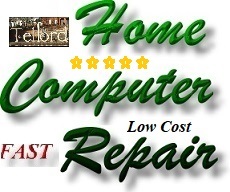 The customer also stated that they had the issue for approximately 2 years. Upon arrival, we ran speed tests on the internet connection and found that it was only approximately 0.28mbs. We then located the telephone connection (apparently installed by a SKY broadband engineer) and noted that it was incorrectly wired. We repaired this and retested the speed which was now approximately 8mbs. Although much faster, this was still not acceptable so we replaced the router and retested. The speed was now 28mbs so we had identified the causes of the issues. The customer then contacted SKY Broadband Technical Support, explained the issues and were given advice which was completely wrong (the customer was told that the speed issues would be resolved by upgrading to SKY Fibre). We then spoke to SKY Technical Support and the agent did not know how to wire a phone socket and did not initially understand that the router was faulty (upgrading to SKY Fibre would not have solved the problem). We argued that the customer had been without satisfactory broadband speed for a number of years (had been paying for a substandard service) and they were entitled to a new router. Sky accepted the arguement. We left our test router connected until the new unit arrived from SKY. Post Office Broadband. We dealt with an issue in Wrockwardine Village where a customer explained that their "internet was very slow" and when watching motor sport via a subscription TV service the picture would often "stutter" or "freeze". We know that this fault is often due to buffering issues which are caused by slow internet speeds. In this case we simply ran a speed test and identified that the speed was far too slow. 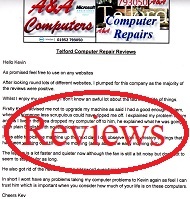 The customer contacted the Post Office who ran internal diagnostics, discovered a fault and resolved the problem. BT Broadband. We dealt with an issue where a Telford Care Home was experiencing multiple issues with internet access. Upon arrival, we immediately identified the primary issue as being that a broadband accelerator socket was fitted over the main socket, but chokes were also used in other places on the broadband circuit. Additionally, numerous PCs were incorrectly connected to the internal network via Network switches. These issues were causing PCs to lose network and broadband internet connections.